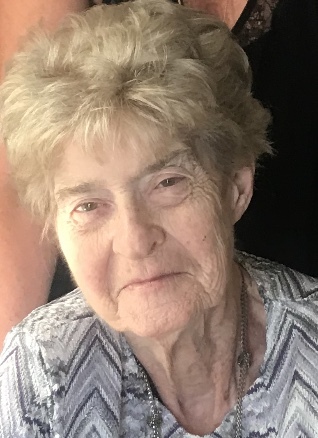 Melba A. Sitter, 80, of Logansport passed away at 3:08 p.m., Friday, April 5, 2019 at St. Vincent Hospital in Kokomo. Born on September 12, 1938 in Logansport, she was the daughter of the late Virgil and Mary (Strong) Knight. On October 14, 1961 she married Ronald “Sid” Sitter. He preceded her in death on January 19, 2010. Melba formerly worked at Federal Mogul, Exide and General Tire. She also had owned and operated Mel’s Grocery in Idaville for several years. Melba was a member of the V.F.W. Ladies Auxiliary and she enjoyed playing bridge, sewing, reading, crossword puzzles and find a word games. Survivors include her children, David Sitter of Logansport, Ryan Sitter (Wendy) of Logansport and Rhonda Hogue (Jeffrey) of Texas, brother, Clifford Knight (Colleen) of Utah and grandchildren, Travis, Carly, Peyton and Ashton and great grandson, Hudson. She was also preceded in death by son, John Sitter and sister, Oveta Dilts. Services will be at 7:00 p.m., Thursday, April 11, 2019 at Marocco-Rans Funeral Chapel & Crematory with visitation from 4:00 p.m. until the time of the service. Memorial contributions may be made to the VFW and/or the Logansport Cancer Center. Please sign Melba’s online guestbook or leave a condolence for the family at www.ransfuneralhomes.com.